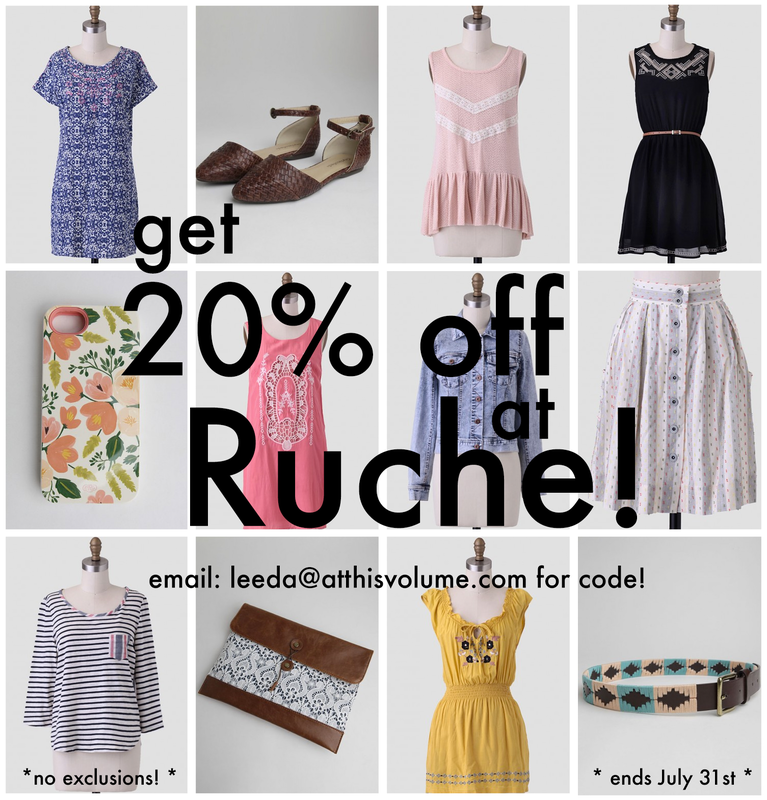 At This Volume: Ruche Summer Lookbook 2014 + get a 20% coupon code! 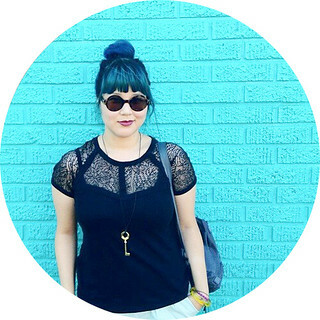 Ruche Summer Lookbook 2014 + get a 20% coupon code! guyssssss. i KNOW you've seen the new Ruche lookbook. ISN'T IT SO AWESOME?! so many goodies in this one, guys. just in case you haven't seen it, go check it out here! also, guess what? i have a special 20% off coupon you can use at shopruche.com until July 31st. best part? no exclusions and you can use it as many times as you want! back to the lookbook though...can i just sayyyyy....i think it's awesome they didn't use a professional model for this shoot but rather used photographers. the Kidds work on most of the Ruche lookbooks and i've admired their work for so long i'm so glad they're being featured in the Ruche summer lookbook. they're the freakin cutest and kristin has the best smile! anywayyyy, i have so many favorite items from this lookbook i know my paycheck is going to sufferrrrrr. my top faves are in the first image, but believe me, it was ridiculously hard trying to narrow that down. you should see my wishlist right now, it's a hot mess. sigh. *if you're new here...yes, i work for Ruche, Inc. No, my posts are not sponsored by Ruche, Inc. I do love Ruche (obvi or else i wouldn't work there silly!) so any time i post any items from Ruche, Inc it's because i truly love the items!